This year belongs to Varun Dhawan! Shahid is “Reddy” (pun intended!) to shine again! Bhai’s fans are bound to love this one! Bharat is expected to release on 5th June. Which of these movies you believe is going to be the best? Save the dates! It looks like 2019 is going to be a great year for Bollywood. From love stories to fantasy to horror to science fiction, there is a tonne of wonderful movies coming this year. Although the release dates are not confirmed for some inclusions in our list, there is a ridiculous curiosity and excitement surrounding these highly anticipated movies. The chemistry of Varun and Alia is more than enough reason to want to dive into this period movie. The songs ‘First Class’, and ‘Tabah ho gye’ are undeniably catchy and beautiful. The movie also stars Aditya Roy Kapur, Sonakshi Sinha, Madhuri Dixit, and Sanjay Dutt. Directed by Abhishek Verman, Kalank is the dream project of Karan Johar. The movie is slated to release on 17th April. He is an acting gem whose movies are always worth watching (at least once! ), no matter what the genre is. This romantic comedy is the directorial debut of Akiv Ali, written and co-produced by Pyaar Ka Punchnama fame Luv Ranjan. Devgn was last seen in “Total Dhamaal” – the third installment of Indra Kumar’s Dhamaal franchise. The trailer is fantastic, and the makers are confident that the chemistry of Devgn and Taboo is going to capture the hearts of the audience again, this time in a ‘never-seen-before’ way. The movie is going to be released on 17th May. Kabir Singh’s style is, you can say, different! The remake of 2017’s Telugu monumentally successful “Arjun Reddy” starring Vijay Devarakonda, Kabir Singh is the 2019 version of Devdas. As the director of the original version, Arjun Vanga, is back in the director’s chair, the buzz is deserved. Vijay Devarakonda received Best Actor Telugu -Filmfare Award South and Best Actor Zee Telugu Golden Award for the movie. Shahid Kapoor is set to replace Vijay as an alcoholic surgeon with anger issues. The plot line is the same but it will be interesting to watch Shahid in gray shades. Did we mention how bad**s the trailer looked? Kabir Singh is set to release on 21st June. The die-hard fans of Salman Khan are eagerly waiting for this patriotic drama. 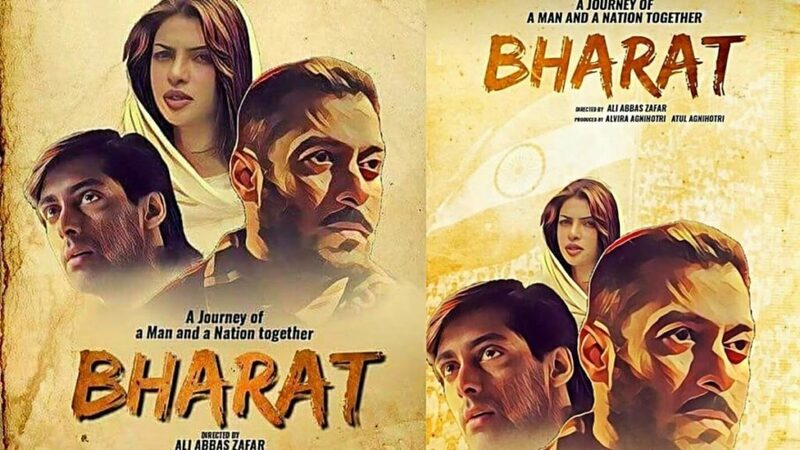 Bharat is directed by Ali Abbas Zafar who previously worked with Salman in ‘Sultan’ and ‘Tiger Zinda Hai’. Both movies performed fairly well at the box office and received praises from critics and audience alike. The makers released the teaser of the movie about two months ago which raised the curiosity level of the audience. The movie is based on a South Korean Movie ‘Ode To My Father’. Starring Ranbir Kapoor, Alia Bhatt, Amitabh Bachchan, and Nagarjuna Akkineni. There is plenty for everyone in this fantasy movie directed by Ayan Mukerji and produced by Karan Johar. Fantasy is not a very popular genre in Bollywood as most of the previous efforts (Ajooba, Drona, Jajantaram Mamantaram, etc) are failed miserably at the box office. Though, considering the budget and the credibility of the people working in front and behind the camera. We are more than ready for Ayan Mukerji’s take on Indian mythology. Not much has yet been revealed by the makers yet but as per the cast. The audience is going to experience a whole new world -in a way that has never been seen before in a Bollywood movie. The movie is scheduled to be released nationwide on 20th December. No list is perfect. If we have missed any movie which you are eagerly waiting for, let us know in the comment section below.